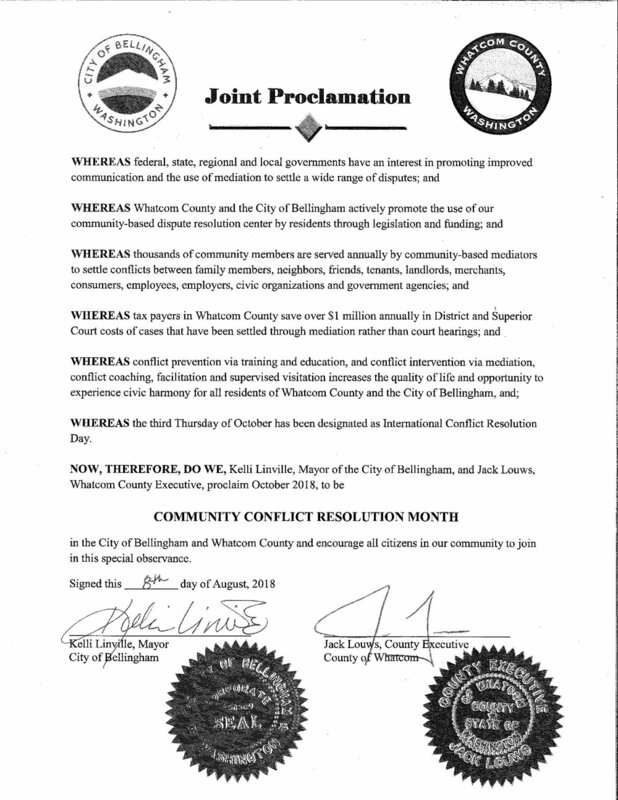 City of Bellingham Mayor Kelli Linville and Whatcom County Executive Jack Louws have officially proclaimed October 2018 as Community Conflict Resolution Month! Welcome to Mediator Practicum student Laura Todd! Laura has over 25 years’ experience in leadership development, coaching and training in large companies, non-profit organizations, and entrepreneurial organizations. She helps teams and groups come together through retreats, expert facilitation, and transformative workshops. Laura coaches leaders and their teams to create a symphony of success. Laura has an M.A. in Education, Counseling and Guidance, B.A. in Psychology and is certified as a Co-Active Coach. Laura lives in Bellingham with her family and is found practicing yoga, hiking and biking on the local trails. You can find more about Laura at www.lauratoddcoaching.com. 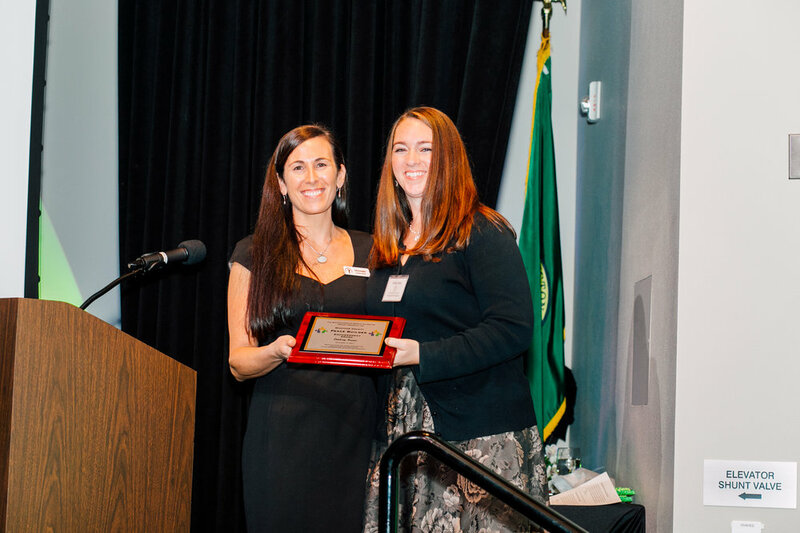 We are pleased to announce that Whatcom Women in Business (WWIB) has recognized Moonwater, the WDRC’s Executive Director, with its Professional Woman of the Year award. Moonwater was one of six finalists to be considered for the award, which was presented at the WWIB’s annual banquet and auction on October 24, 2017. The Banquet is one of the primary ways that WWIB celebrates the accomplishments of women in the community. The Professional Woman of the Year award is given annually to a woman who strives for and exemplifies the four values honored by WWIB: Leadership, Professionalism, Mentorship, and Community Involvement. Moonwater has served as the Executive Director for the Whatcom Dispute Resolution Center since 2005, and she possesses more than 18 years of experience in the field of dispute resolution. She is the lead instructor for the WDRC’s 40 hour Professional Mediation Training, and provides customized conflict management training to numerous nonprofit organizations, tribal departments, local governments, businesses, and associations. She has trained thousands of individuals in effective conflict management skills. Previous recognition Moonwater has received includes: her appointment by the Whatcom County Council to serve on the Incarceration Prevention and Reduction Task Force, her appointment to the Domestic Violence Commission, her appointment to the Secretary of State’s Charities Advisory Council, being awarded the Liberty Bell Award by the Whatcom County Bar Association, and being honored with a Ken Glass Community Builder Award. 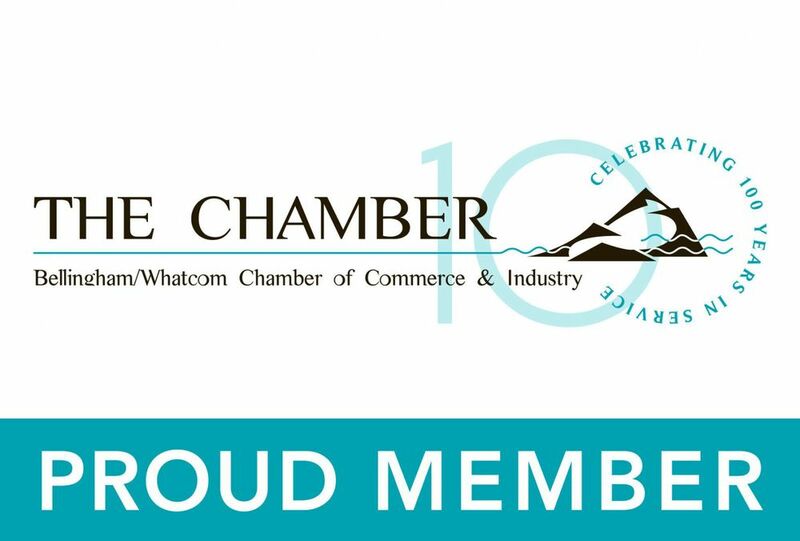 In addition, in 2014, the WDRC was selected as the Bellingham-Whatcom Chamber of Commerce’s Nonprofit of the Year. As we approach year’s end, I’ve found myself taking a moment each day to reground myself in the Center’s mission, and the important work we have before us as a community. As a sense of divisiveness permeates the media, our conversations, and our consciousness, the need for constructive, collaborative, and innovative approaches to conflict become even more imperative. Action is critical. How are we taking action? Our Board is working diligently to update our strategic plan in order to ensure a vibrant future for the WDRC, and our staff and volunteers are working tirelessly to meet all of the requests for service. We are continuing our search for a new office space that will allow us to grow, bolster our accessibility, and continue to provide a warm and welcoming space for all. We are connecting with partners to explore creative ways to meet community needs. We are reaching out to our elected officials to raise awareness of our services. We are reflecting on the beauty and strength within our community, and we are listening to the diversity of voices and people we are here to serve. Thank you for joining with us to take action toward a healthier, stronger, more resilient community by building peace – one person, one conversation at a time. Thank you, board member Renae Ingraham! A longtime WDRC supporter (and former staff member, too!) Renae brought incredible enthusiasm, energy and ideas to our Board. We will miss her greatly as she changes her role with us in order to spend more time with her kiddos and her growing real estate business. Thank you, Renae!